Hapy new year!! To start 2017 in the best way, this week my entire online closet is with 50% off on the marked price! To enjoy this discount you just have to send me an email to stylebythree3@gmail.com with the title '50% off '. Lots of kisses and happy shopping! Bom ano!! 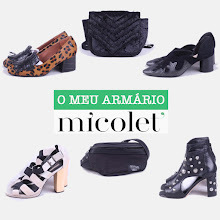 Para começar 2017 da melhor forma, esta semana todo o meu closet online está com 50% sobre o preço marcado! Para usufruírem do desconto só têm de me mandar um email para stylebythree3@gmail.com com o titulo '50% off'. Muitos beijinhos e boas compras!